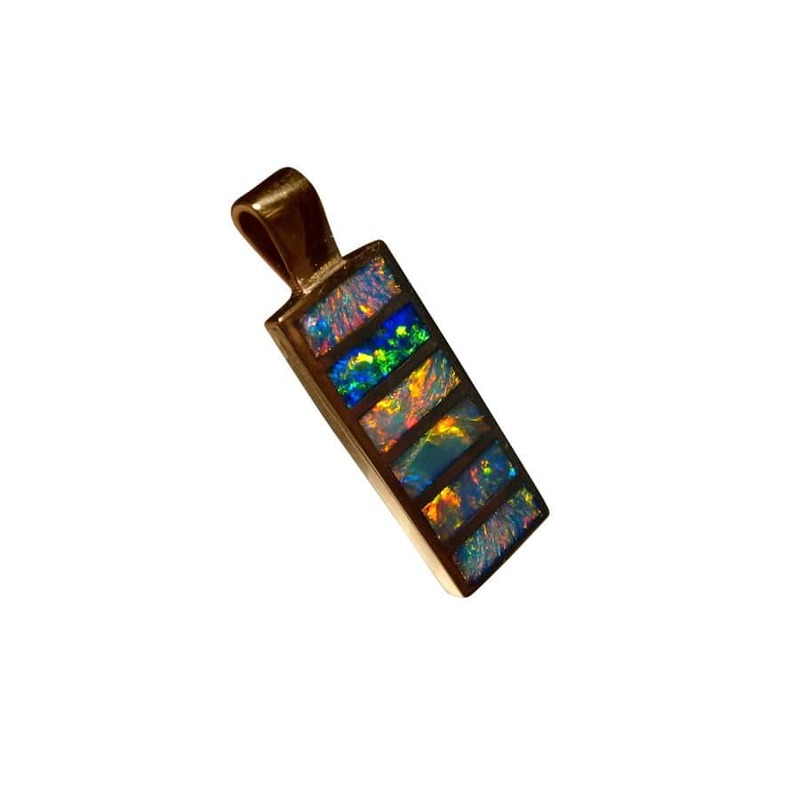 An inlay Opal pendant in 14k Yellow Gold with six very bright and colorful Opals. In stock and ready to ship. 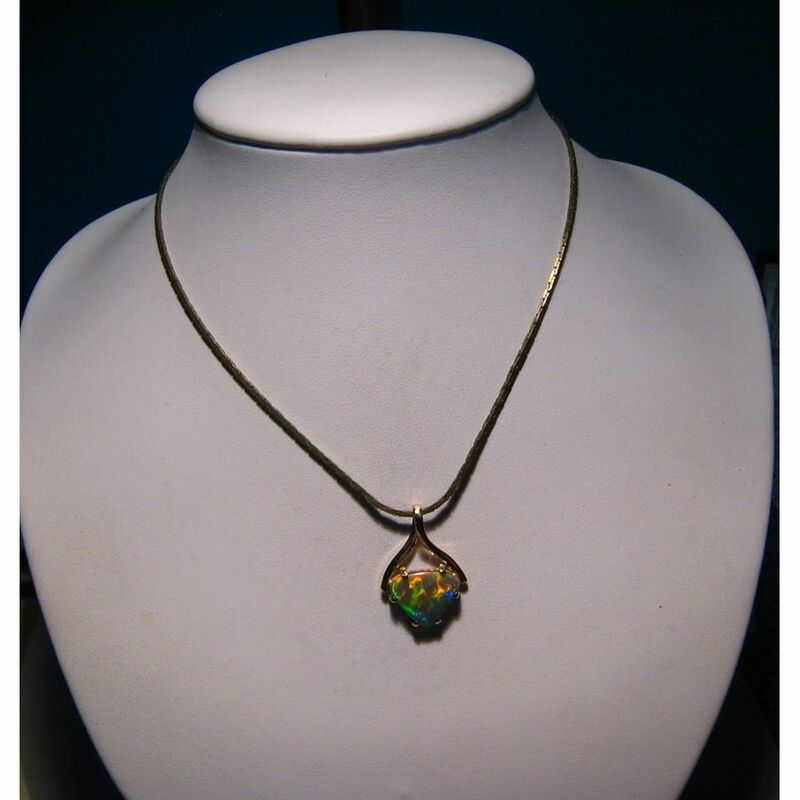 This 14k Yellow Gold pendant can be worn by men or women and a Gold chain or Black cord will look stylish. 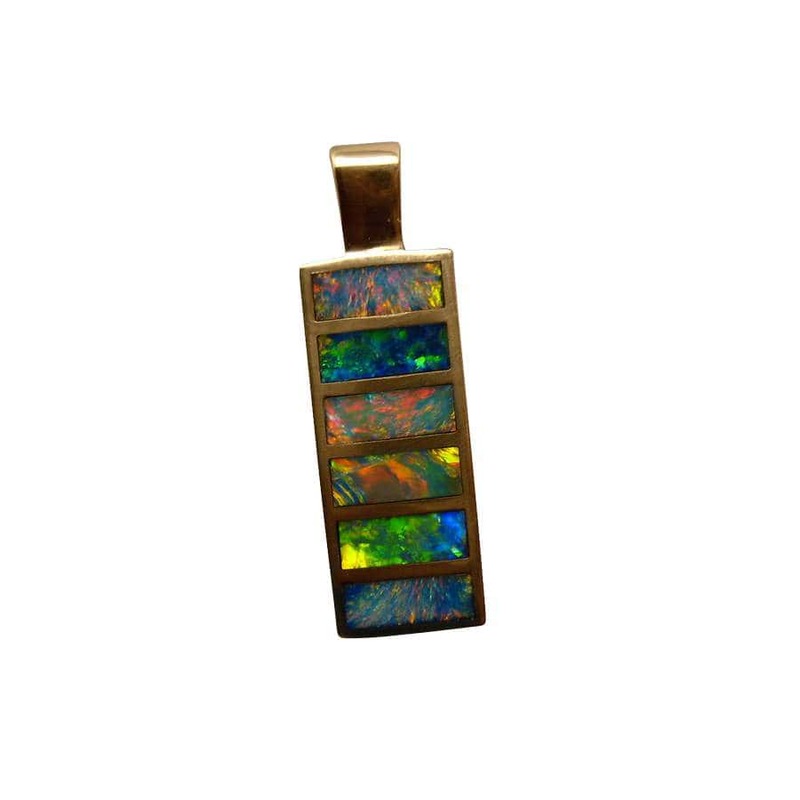 The long rectangle pendant is inlaid with six very bright and colorful Lightning Ridge Black Crystal Opals for a combined Opal weight of 3.5 carats. 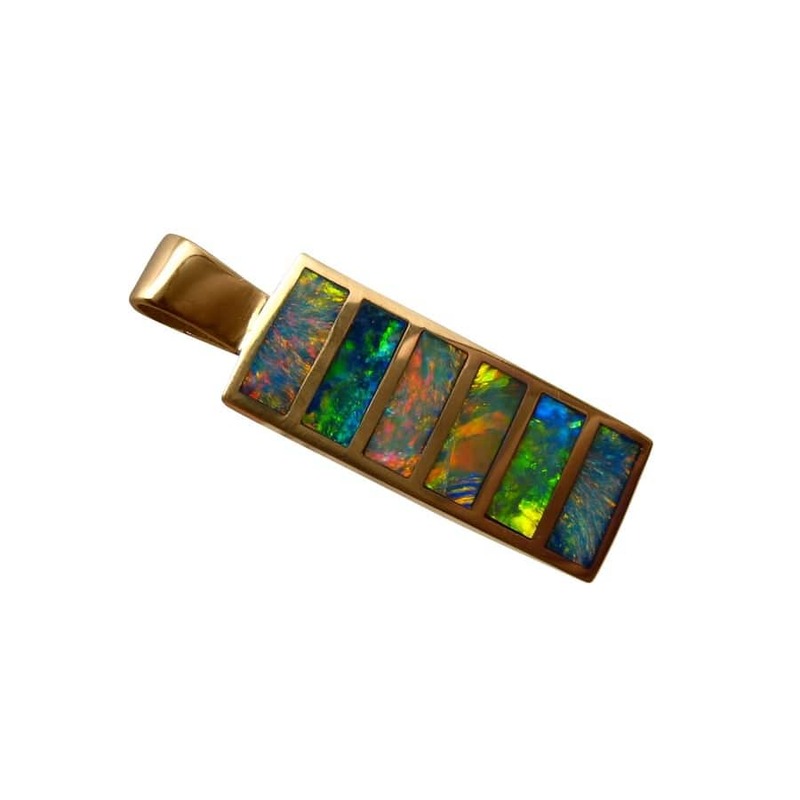 The pendant measures just over one inch long including the bale, and 1/3 inch wide with a Gold weight of 2.8 grams. 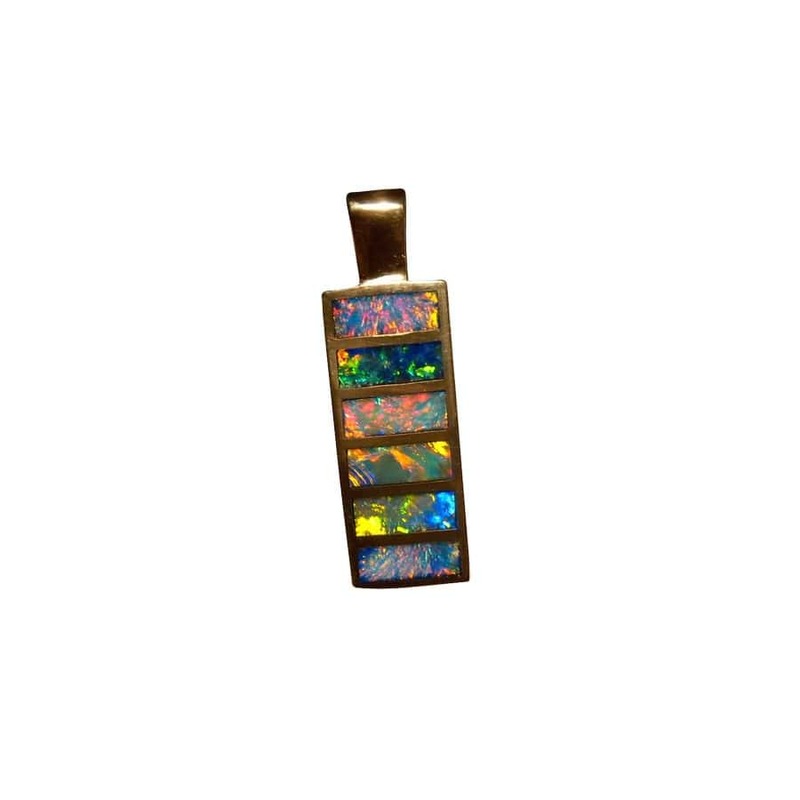 It is an impressive Opal pendant that flashes various colors in different patterns with movement ensuring it will be noticed when worn. It is ready to ship now but does not include a chain. Outstanding service. Repeat customer. Highly recommend.